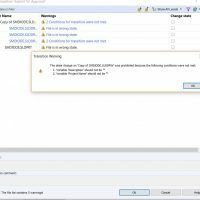 SOLIDWORKS PDM Professional 2017 now supports database replication which can be useful in high latency or high usage environments. This is only available in PDM Professional (and not PDM Standard) and requires Microsoft SQL Enterprise Edition 2012 or higher. The way it works is by setting up secondary SQL server(s) that can assist a primary server with “read” type database requests which in turn reduces the load on the primary server. The primary server will still handle any read/write operations such as check ins/outs, workflow transitions, and datacard updates. The secondary servers will handle operations such as folder browsing, contains, where used, UI responsiveness, search, BOM, data card viewing, RMB on folder, reference trees in operation windows which will greatly improve performance in these areas. Setup of data replication will be unique for each environment and are driven by the established PDM Groups. Groups can be assigned to a specific secondary database server along with the frequency that you want the secondary server to update. Again, this will be determined by the particular environment. So whether you have a multi-site environment or even a single site environment with high usage, database replication may be something worth checking out. 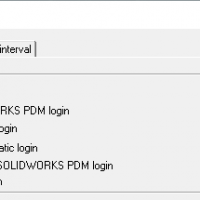 I hope this part of the What’s New series gives you a better understanding of the new features and functions of SOLIDWORKS PDM 2017. Please check back at our InFlow Site where we will continue to blog about everything PDM 2017. Also please look at our CATI Blog as the CATI and MCAD Support Teams will continue to break down many of the new items in SOLIDWORKS 2017. All of these articles will be stored in the category of “SOLIDWORKS What’s New.” You can also learn more about SOLIDWORKS 2017 by clicking on the image below to register for one of CATI’s or MCAD’s Design Summits.